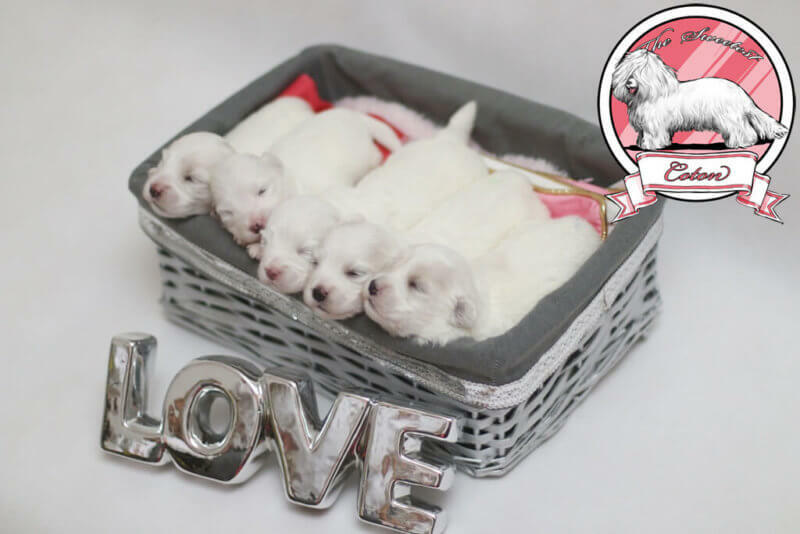 We invite you to read the information present on the this page, that we have prepared for people looking for a Coton de Tulear puppies for sale. 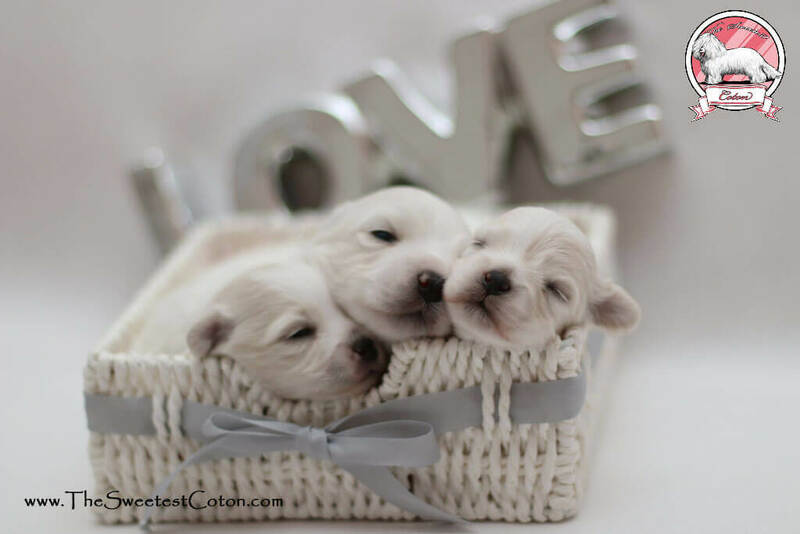 At the first part of this page we present information about available Coton de Tulear puppies for sale with links to detailed descriptions. At the second part of this page you find information i.a. about the way we take care of our puppies from birth until they go to the new owner, about medical examinations of our puppies and about a method of transfer of our puppies to the new owner. If you have any additional questions, also about Coton de Tulear price, please contact us. The Sweetest Coton kennel is registered in FCI (The Fédération Cynologique Internationale) and Polish Kennel Club (Warsaw department). Our puppies have a pedigree. We breed Coton de Tulear puppies with passion – this means that we follow the breed standard aiming at, in our opinion, the best and most beautiful representative of the breed. But equally important for us, what stands out The Sweetest Coton kennel, is a concern for breeding healthy puppies with excellent character. Puppies in our kennel growing up in our house accompanied by other cotons. Through numerous meetings with members of our family and friends, they have the opportunity to meet people with different characters. However, thanks to Sandra, our 9-year old daughter, who spends with puppies almost every free moment from the day of their birth, hugging them and kissing, and when they get older teaching them basic dog behaviors (including those necessary for the show ring like walking on a leash or standing in the correct position) our Coton de Tulear puppies for sale never have any problem adapting to a new home, and often become its greatest member. 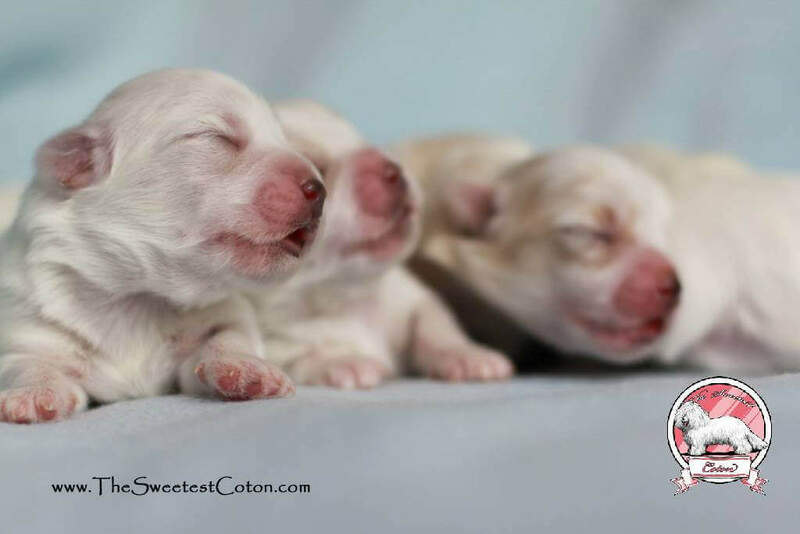 The Sweetest Coton puppies leave our home with layette (which make their adaptation in the new home easier), as well as the necessary information about the care and upbringing. Puppies are vaccinated and dewormed according to age. People who choose our puppy as a companion of his life can always count on our advice on any issue – even the most trivial. Our Coton de Tulear puppies have at least 6 DNA health examinations (BNAT, CMR, DM, PH, HU, vWD) and are examined regularly by an ophthalmologist (eye examinations for PRA) and surgeon (kneecap examinations for Patella). The new owner can pick up Coton de Tulear puppy for sale by person or cover the cost of transportation to the (almost) anywhere in the world via air transport, with or without the assistance of a person, who professionally delivery dogs (couriers). We cooperate with a professional company that specializes in air transport of animals and following this company suggestions and our experience we prepare the necessary document, making possible to reach the puppy to new home.